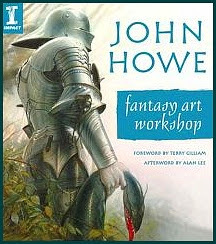 The Art Museum: "Fantastic New Book By John Howe"
"Fantastic New Book By John Howe"
I was rummaging around the art section of the bookstore this week to check on new releases and saw John Howe's new book. Wow. Being one of the foremost fantasy artists to emerge in the latter part of the 20th C., if his artwork inspires you, wait until you see this tutorial. 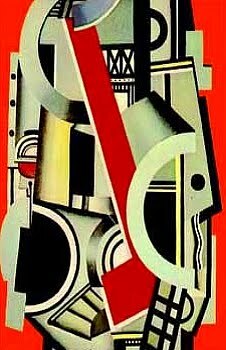 It's not extensive in fundamental training (which it should not be), but does cover things like setting up your work area, and the materials and techniques that he uses. He then goes into the meaty topics, such as drawing various creatures, human beings, backgrounds, armor, etc. The book is profusely illustrated with his sketches and paintings (some covering stages of progress) and the text is very thoughtful, giving his insights on technique, inspiration, and motivation. Howe's artistic style has always affected me the way that Roger Dean's fantasy art did when he became well known via his album cover art for music groups like YES. Of course the styles are different, but both artists have the ablility to totally transport you to other worlds that you've never seen or imagined before. Howe's worlds are often visually soft and feature dream-like fogginess, but are no less powerful for it. I highly recommend this book to artists, and he also has a website that is worth visiting regularly. Among other great features on his site, you can send e-cards of his work but I haven't done that yet so I don't know if it's a free service or not.